This slow cooker soup is so rich and creamy that it's more of a chowder than a soup. I've eaten it 3 times this week, and I'm sad to run out! 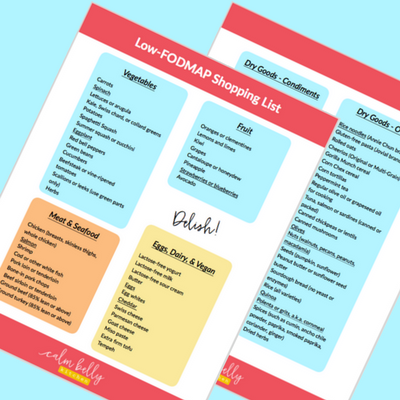 I'm so in love with it that I put together a whole week's worth of low-FODMAP meals around it. More on that in a second, but if you want to just grab the free 1-week dinner menu right now, click the button! This soup is packed with moist, shredded chicken, veggies and wild rice. To keep the leeks from getting so soft that they melt away, I saute them in a little garlic oil and add them at the very end so they retain their texture and bright oniony flavor. To get that thick, creamy texture with zero dairy, I stir two egg yolks into the soup. Not only do they thicken, but they add an extra hit of satisfying protein and healthy fat that makes this a meal in a bowl (but don't let that stop you from having a nice green salad on the side!). They don't taste "eggy" either, just rich and delicious. 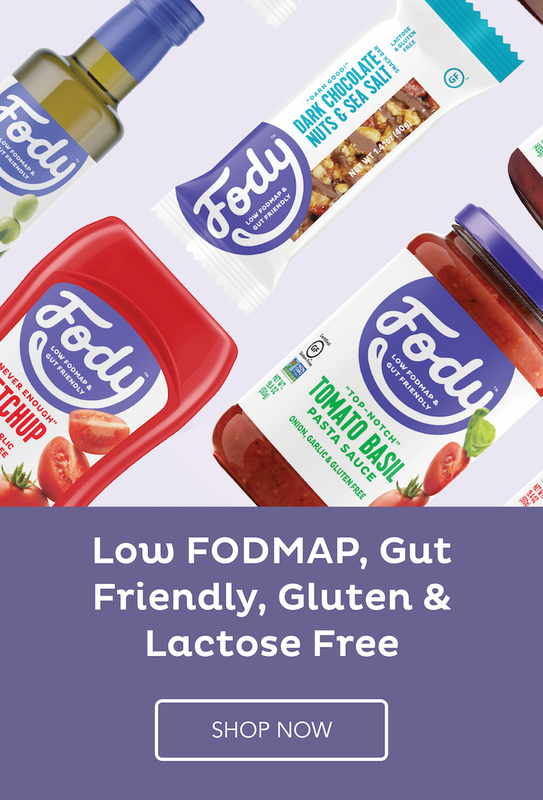 The soup recipe is below, but I also put it into a 1-week menu of low-FODMAP dinners for you to download! So often, when websites offer free meal plans and menus, they just give you 7 totally different recipes as if you have an hour or two to spend cooking every night of the week (and unlimited money to spend on ingredients). I know you don't have that kind of time because you've told me. So this menu features four main dinner recipes with instructions on how to repurpose the leftovers or ideas for different side dishes to jazz them up on day two. To get the menu delivered straight to your inbox, just click the yellow button and let me know where to send it! You'll also be added to the Calm Belly Email Crew, which means every Friday you'll get even more tips, inspiration and bonuses that you won't find on the blog. So what do you think of this recipe? Have you ever used egg yolks as a thickener before? I'm absolutely loving my slow cooker right now, so if you have a favorite recipe to share, leave a link in the comments! If you liked this post, would you take a second to share it on Pinterest or Facebook? Thank you...I'm giving you a big computer hug right now! Although I say adding egg yolks is optional, it's a great technique that makes this soup extra special. Stirring them in at the end creates a rich, creamy texture without tasting “eggy.” Since veggies tend to get a little too soft in the slow cooker, I like adding the sautéed leeks at the very end so they retain their bite and pack more onion-like flavor. However, if you want to add them at the beginning, sautéed or not, the soup will still be fantastic. Herbes de Provence is a blend of dried herbs, usually thyme, rosemary, marjoram and lavender; find it in the spice section. Dried thyme may be substituted. 1. Add all ingredients through rice to a large slow cooker and cook until chicken breasts are opaque in the thickest part (165F on an instant-read thermometer) and rice is tender, 4 hours on high, or 8 hours on low. Transfer chicken breasts to a cutting board. 2. In a small bowl, whisk the egg yolks. Slowly pour about ¼ cup of the hot soup into the yolks as you whisk (this heats up the yolks so they don't start to scramble when you add them to the hot soup). With the slow cooker on high, slowly pour the yolk mixture into the soup, stirring as you pour. Cover the slow cooker and cook on high for 10 minutes. 3. Heat the garlic oil in a skillet on medium heat. Add leek, season with salt and pepper, and cook until tender, 6 to 8 minutes. Shred the chicken and add it back to the slow cooker along with the leeks. Cover and cook for a few minutes, just until chicken is heated through. If soup is very thick, add water or broth (I added about ½ cup) to thin as you like. Turn off slow cooker and stir in the lemon juice. Season to taste with salt and black pepper. Ladle into bowls and top with Parmesan and fresh parsley.